McDonald's tax deal with Luxembourg did not breach EU state aid rules, EU competition regulators ruled today. The regulators said the reason the US fast food chain did not pay some taxes was due to the mismatch between US and Luxembourg laws. The decision by the European Commission came after a three-year long investigation, part of its crackdown against illegal sweetheart deals between EU governments and multinationals that has resulted in Apple, Starbucks and Fiat paying billions of euros in back taxes. The Commission said McDonald's tax deal was in line with national tax laws and the Luxembourg-US double taxation treaty. "Our in-depth investigation has shown that the reason for double non-taxation in this case is a mismatch between Luxembourg and US tax laws, and not a special treatment by Luxembourg. "Therefore, Luxembourg did not break EU state aid rules," European Competition Commissioner Margrethe Vestager said. "Of course, the fact remains that McDonald's did not pay any taxes on these profits - and this is not how it should be from a tax fairness point of view," she said. 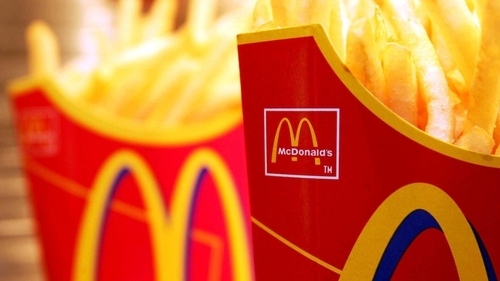 The investigation had focused on McDonald's Luxembourg-based subsidiary Europe Franchising which receives royalties from franchisees in Europe, Ukraine and Russia. Luxembourg in a 2009 tax ruling said the company did not have to pay corporate taxes as its profits would be taxed in the US. In a second tax ruling, the Grand Duchy said that the company was no longer required to prove that its royalty income was subject to US taxation. Luxembourg said in a statement that it welcomed the Commission's recognition of the steps it had taken to avoid similar cases in future.